Naresh Shah has a B.arch from Mumbai UNiversity (1966). In his career spanning 35 years in the U.S,: he was certified by NCARB (U.S.) and was licensed to practice architecture in about 10 States. He was also memeber of the American Institute of Architects. 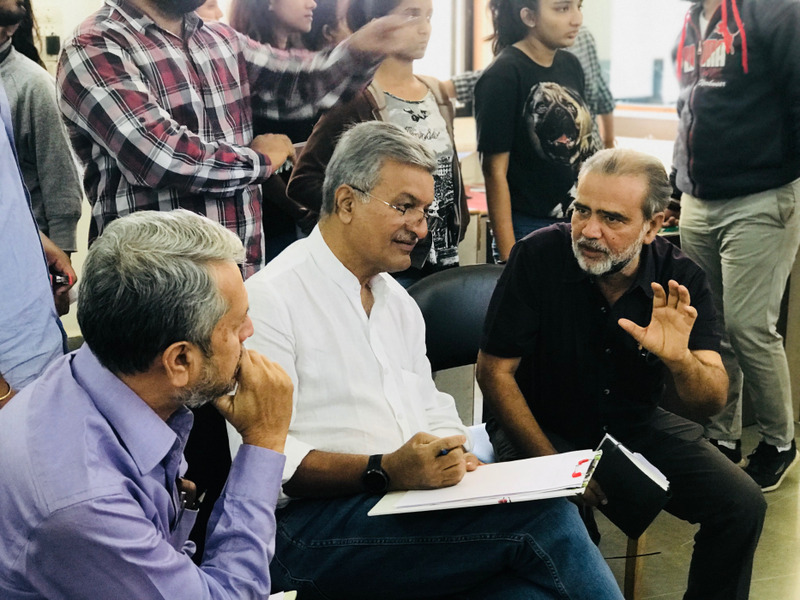 In india he is life member of the Indian INstitute of Architects. 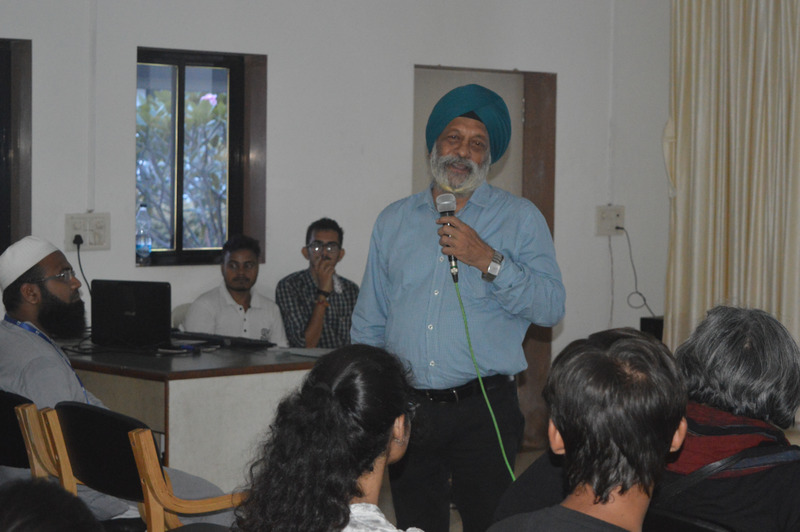 He is the founder member of Yojaka-Predesign and Alumni association of Sir J.J. College of Architecture(AJJA). He is practicing architect, planner, author, scholar, educatinist, teacher, art & architecture critic & practicing in creating sustainable green architecture. His works speaks of his contribution looking beyond architecture & development of large infrastructure projects like Airport, Metro, Railway station, Transit Orient Development, Inter Modal hub & creating Sustainable, Walkable, Cyclable neighbourhood & creating Indian Sustaiable Smart Cities of Tommorow. He is being adorably called as AIRPORT KING. 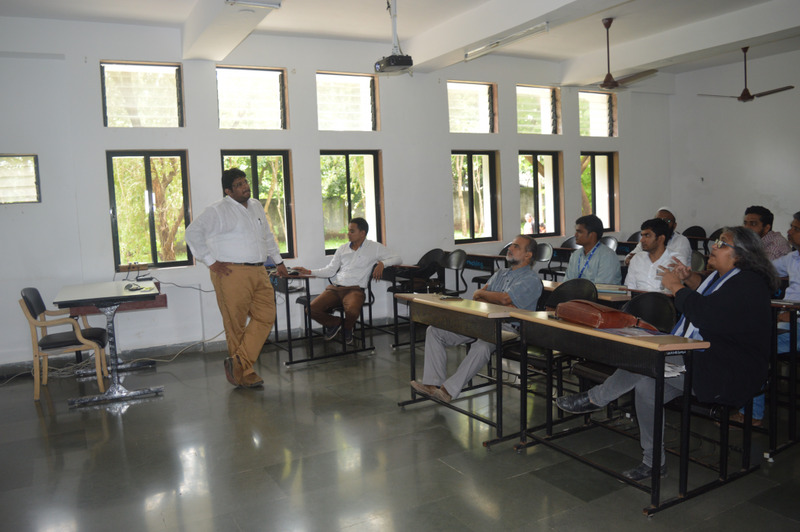 Orientation course in photography commenced in LIA from 19th August . 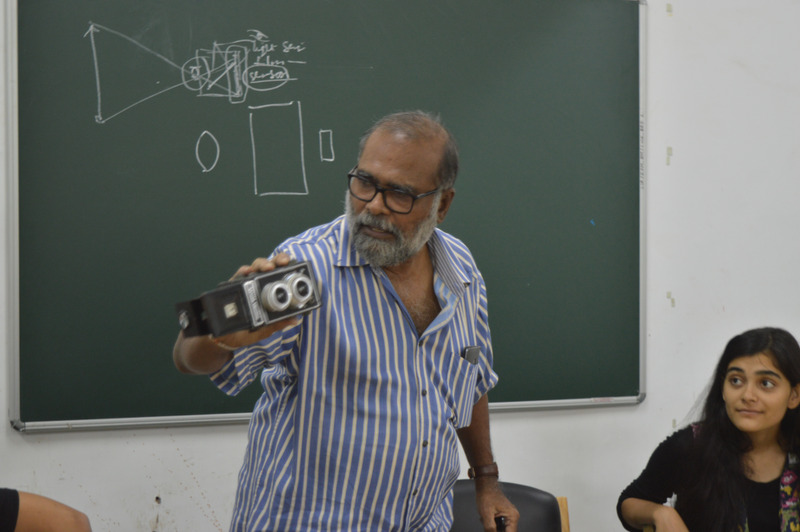 The ten day certificate course is offered by the renowned photographer Mr Dinesh Mehta. It is slated to be conducted over weekends and between 3 pm to 6 pm in weekdays to ensure participation by college students. The course shall conclude with a talk by the mentor and a small exhibition. 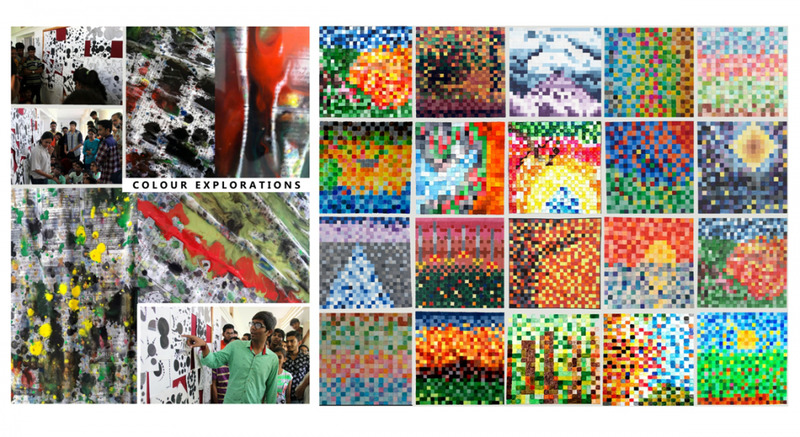 The outcome of the color workshop conducted by a the Artist Kanika Mukharjee. Kanika Mukherjee does beautiful landscapes in cotton fabric which she uses an art form. For the artist fabric is paint. It is a medium with which she builds landscapes. She will continue to work with students of LIA towards building sensitivity to art , specifically with the understanding and use of color. Laxmi Institute of Architecture is situated in South Gujarat. we are positioned near a Sea and the Dang Jungle. 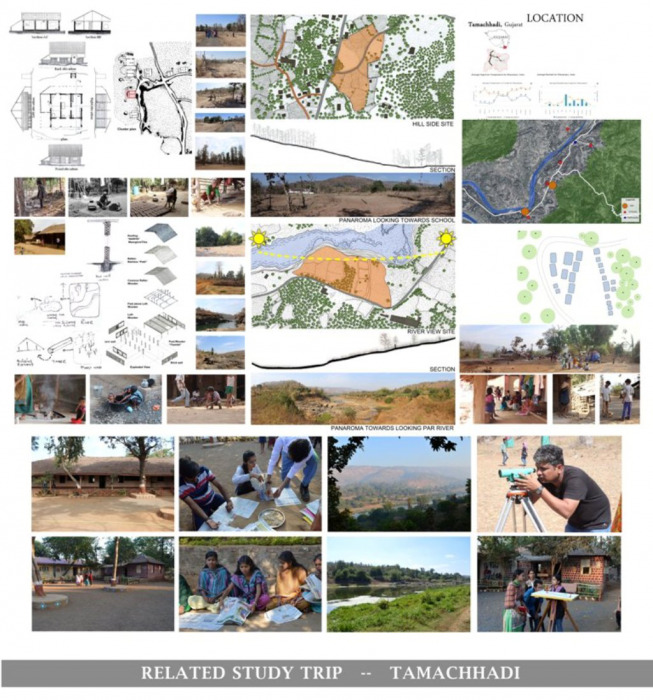 The wealth of vernacular architecture, Traditional architecture such as Parsee dwellings in Udwada, Nargol and Sanjan , Gujarati dwellings in Valsad district , Flora , Fauna and natural heritage around us has inspired us to commence a creation of a regional database. Each batch measure draws a village and each student will measure draw a traditional house every semester to contribute to this archive. Most workshops are aimed at understanding of tools that can aid efficient model making . The value addition is towards the fun quotient and introduction to arts. 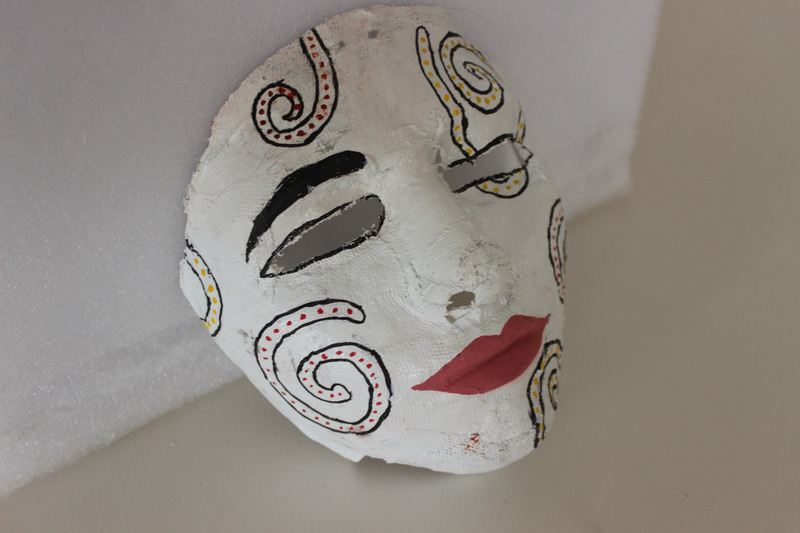 Students have extensively used the methods learnt in mask making into making complex forms in design studio. 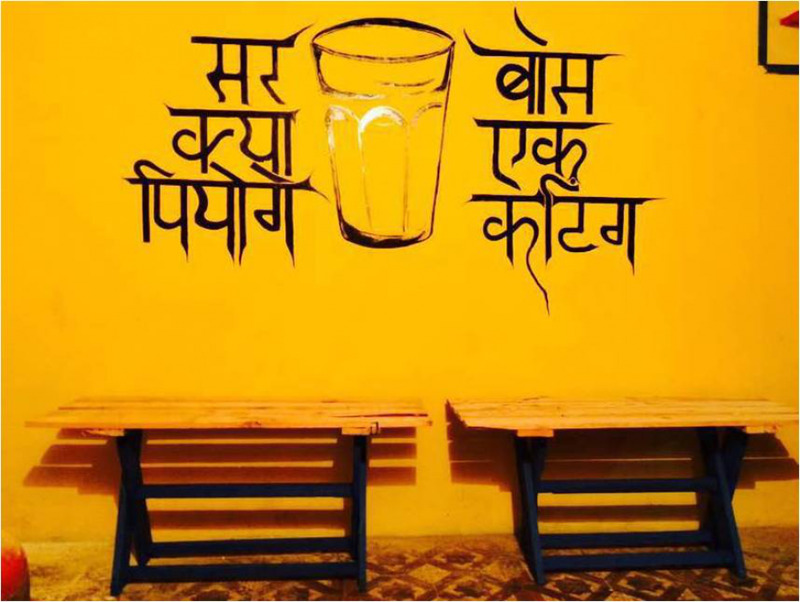 Every evening students of LIA hangout at this chai stall. One fine day they decided to do a makeover. New color, New benches. Some graffiti on the walls. Kar Sewa . Students made a chain to help out the soil filling workers. Ar. 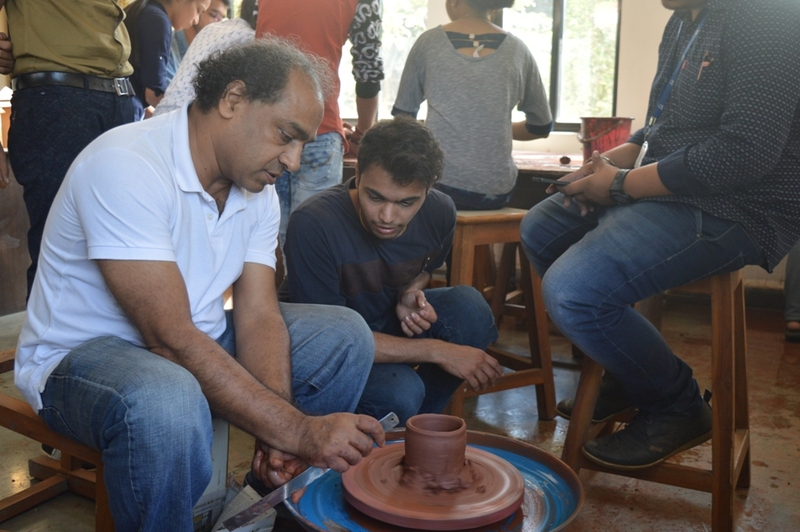 Amit Parashar is a faculty at LIA, other then studios he also takes time out to teach the enthusiast students the basics of pottery. With little guidance, and a chance to do hands on, our creative minds came up with beautiful art pieces. 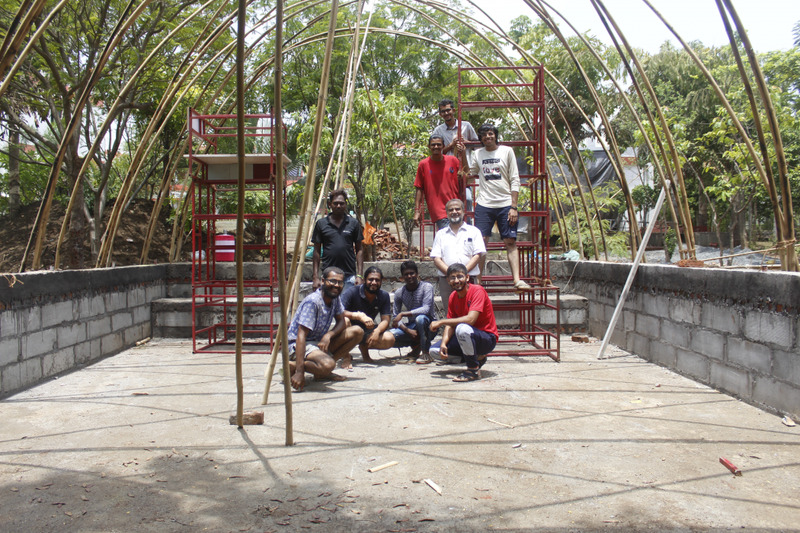 laxmi research lab focuses on finding solutions to waste reuse, specifically for building use. 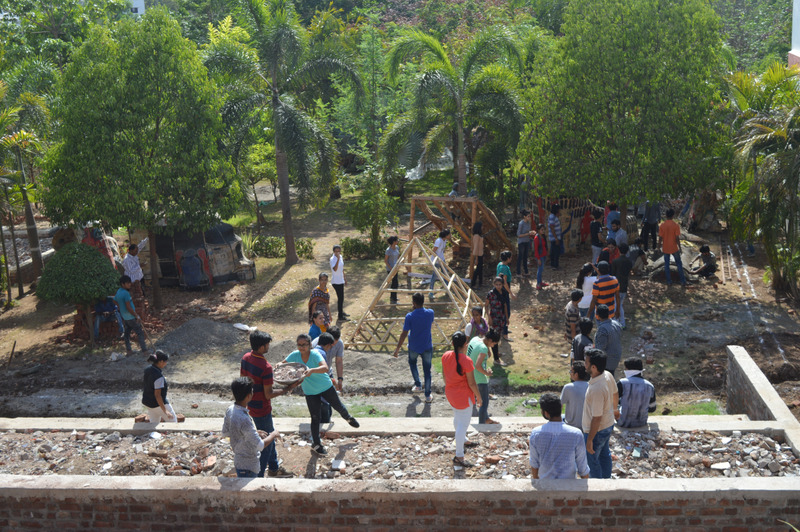 Some of the primary exercises revolve around making small shelters by using waste material of the students' choice. This being first step to understanding the materials hands on. 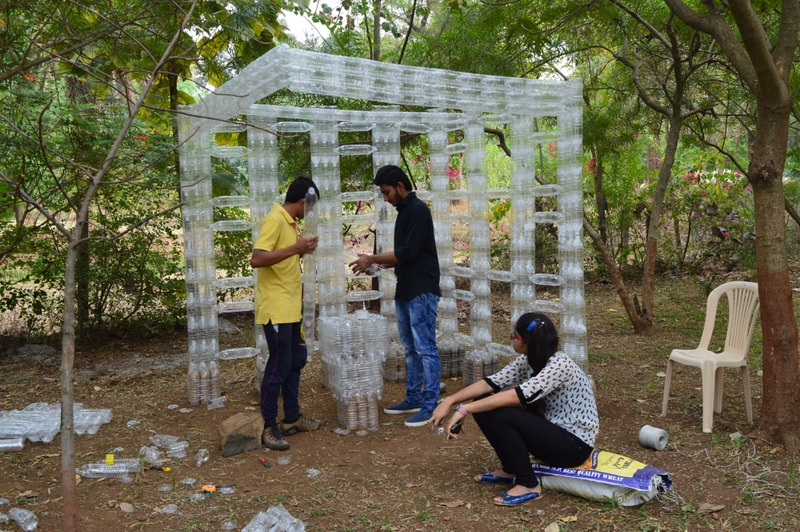 laxmi research lab focuses on finding solutions to waste reuse, specifically for building use. 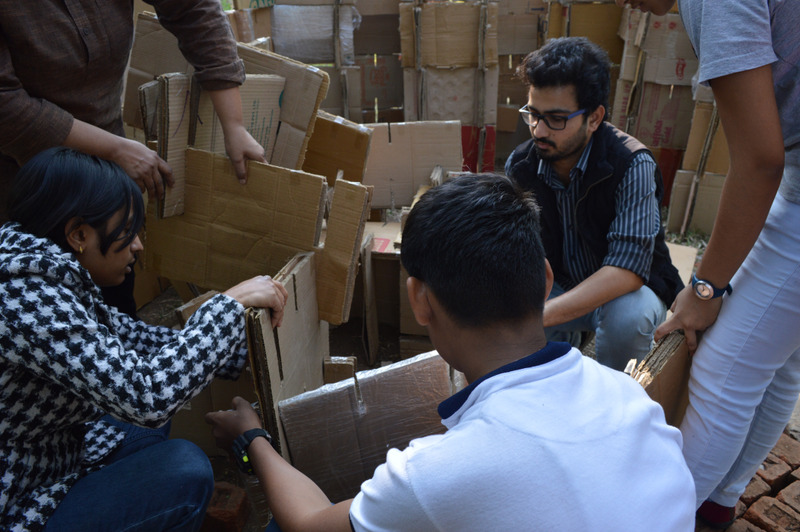 Some of the primary exercises revolve around making small shelters by using waste material of the students' choice. This being first step to understanding the materials hands on. The step two would be a more refined detailing. Continue exploration till a prototype is developed. The research is guided by a young entrepreneur Mr Binish Desai. 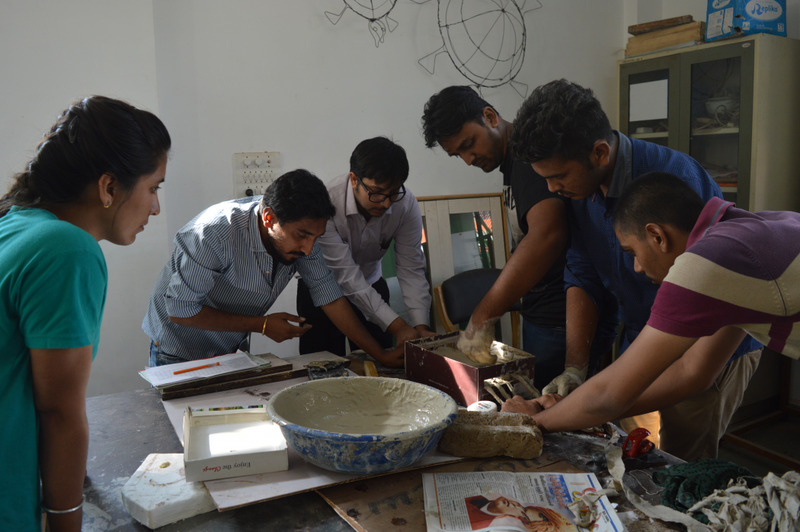 The batch of 2014 had a clay workshop as a part of their Basic design curriculum. Many students ended up making their final design models in clay. 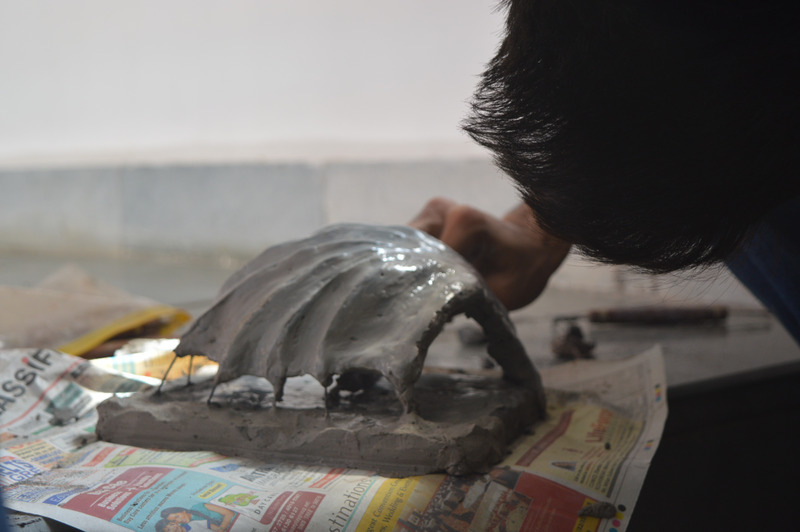 Making clay study models has became a part of inital designs for students. 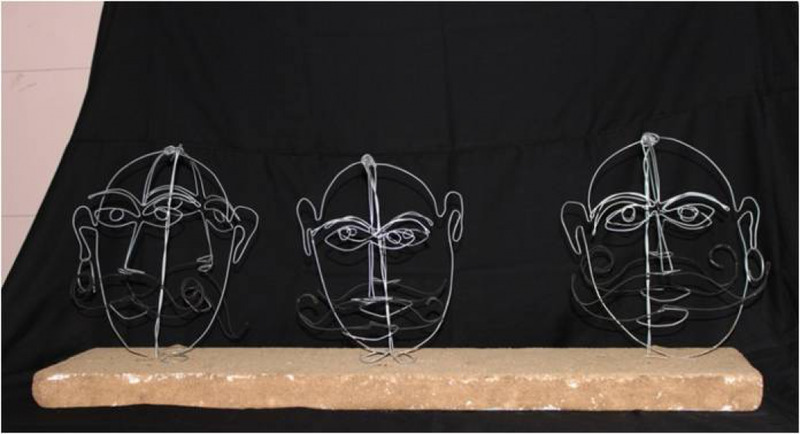 An Artist from kutch region carries a tradition of making objects with continuous wire. 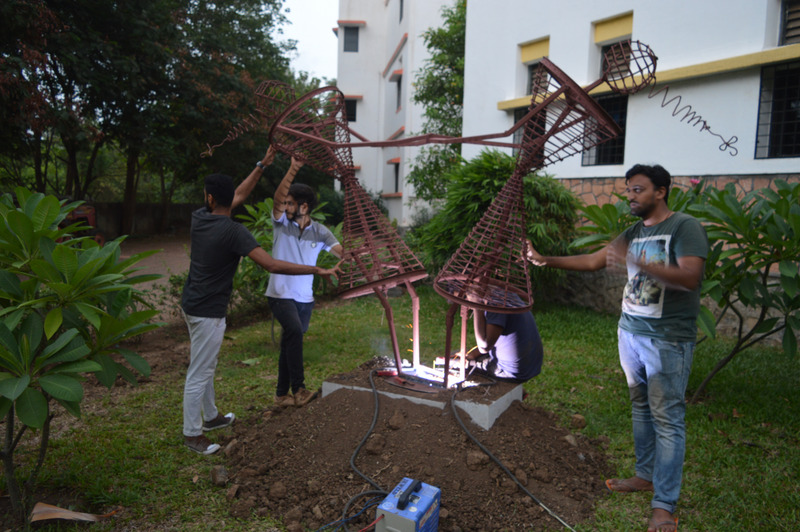 For student of Architecture it is their Introduction to tools of Workshop, wire & plier. The combination of paper and wire has been extensively used for stabilizing design studio models. 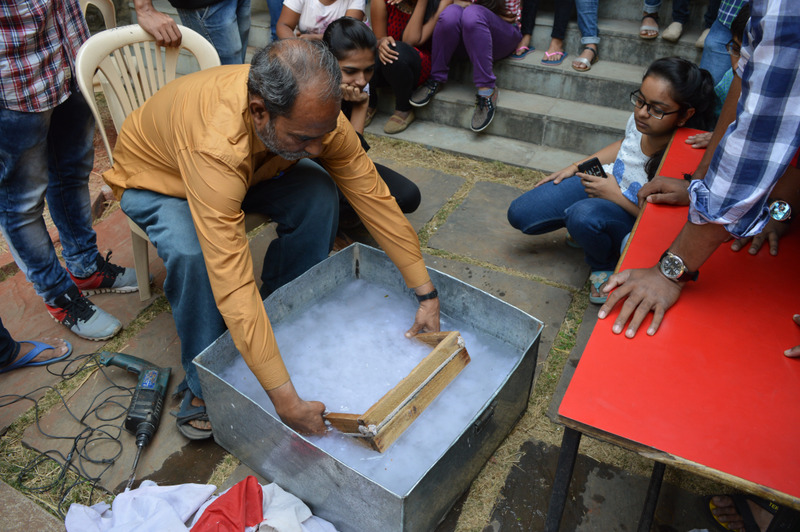 Traditional artist from Rajasthan taught the students how to make handmade paper. The basic tools and methods were simple, fast and easy to explore. Subsequently students explore the same with fragrance and colors by inserting natural leaves and flowers with the paper. It also teaches them to reuse waste paper. First year students explored various materials like plastic bottles, jute bags, paper tubes and card board boxes to make structures of their choice. 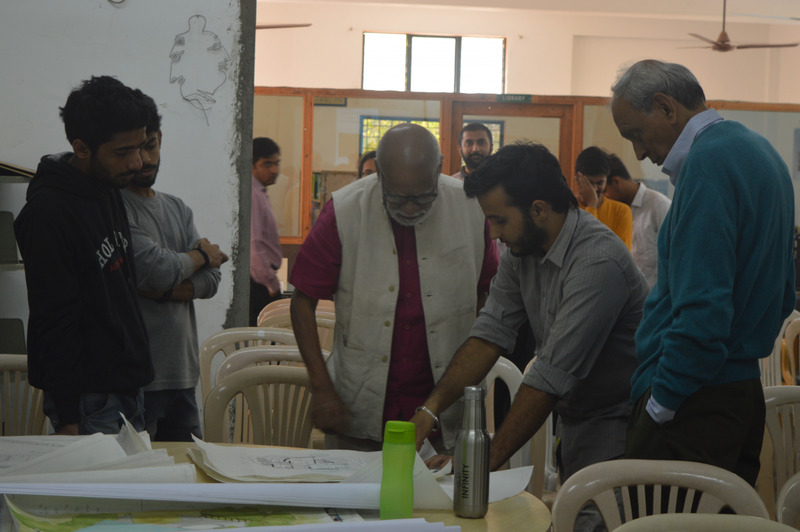 Architect Shayar Gandhi holds a post graduate degree in film making from NID. 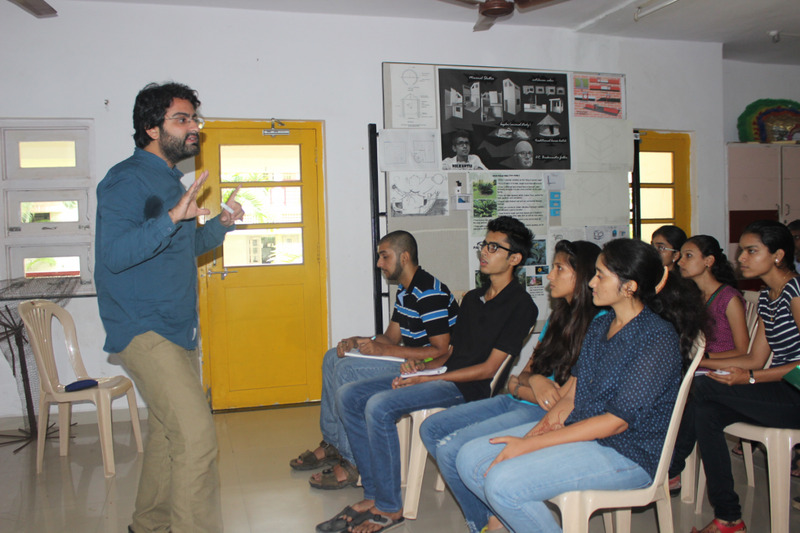 He conducted a three day workshop on film making for 2nd year students. The workshop explored story writing, acting and filming a small skit . Working with clay for architecture students can never be overstated. 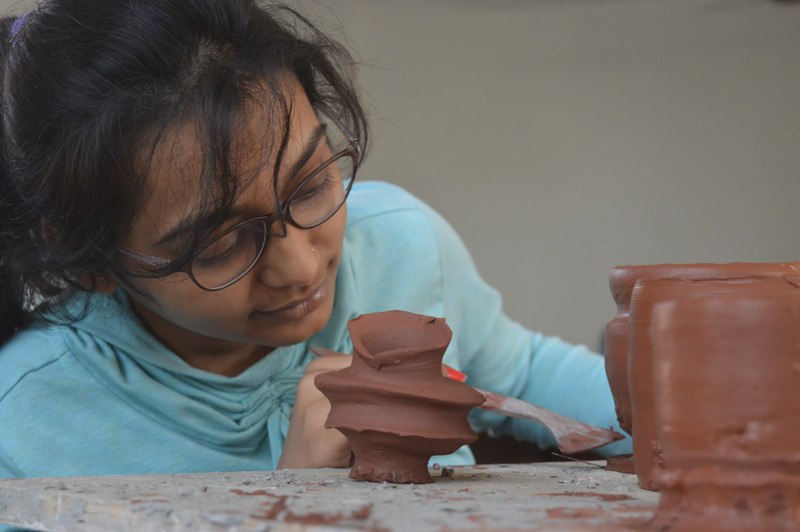 The workshops aims at basic understanding of clay modeling and equips the student to begin using clay a the working tool. An artist from Kutch region carries a tradition of making objects with continuous wire. 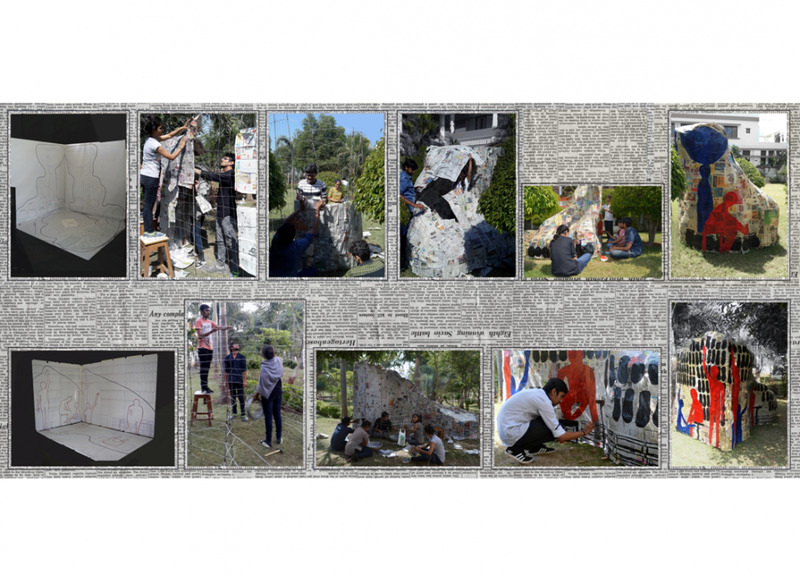 For students of first year in architecture, it is their introduction to tools of workshop. Wire and pliers. The combination of paper and wire have been extensively used for stabilising design studio models. Traditional artist form Rajasthan taught the students how to make handmade paper. The basic tools were simple, fast and easy to explore. Subsequently students added fragrance, texture and Colours. The aspect of reuse gets introduced as well. 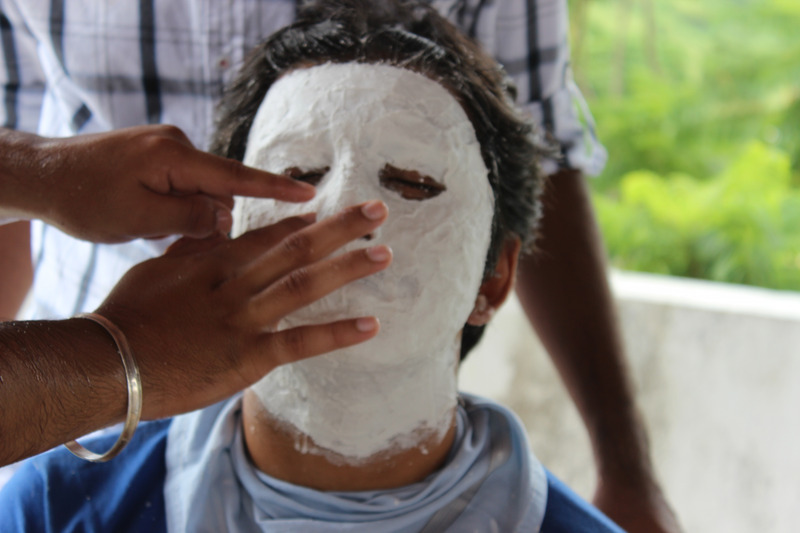 Artist Mehul Patel taught students to make masks. It was a day filled with fun and helped students bond with each other as it was their first workshop. 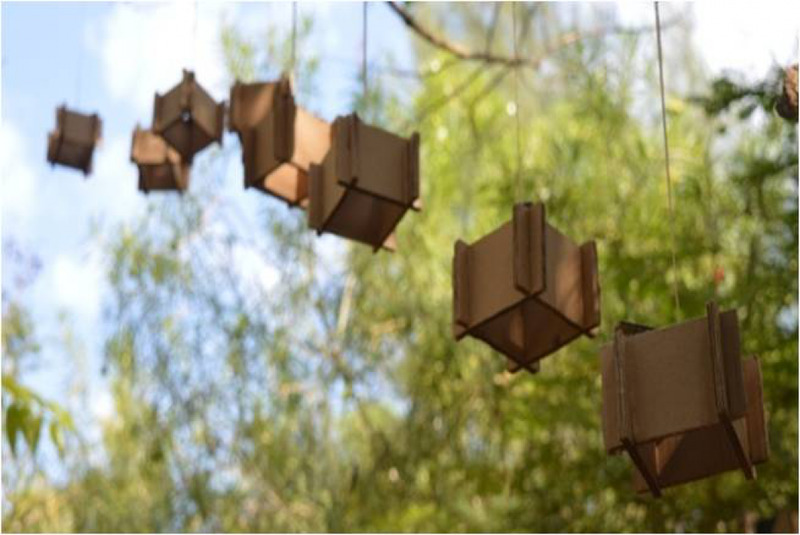 Research cell is an initiative by LIA towards finding new ways of recycling/ reusing materials in construction. It is an on going process where students are involved with contructing new structures out of waste products every year end.